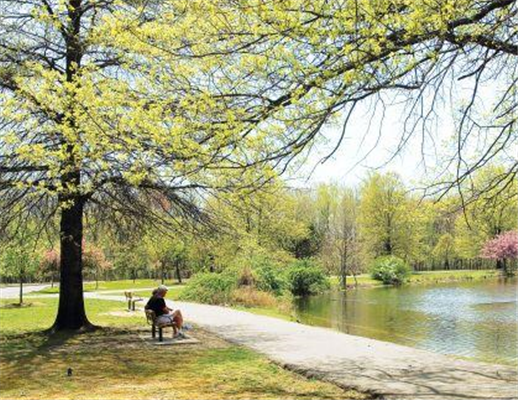 Bergen County New Jersey is one of the most desirable counties in New Jersey to live in, Closer to NYC Bergen County boasts some of the most exclusive and most expensive homes in Northern New Jersey and one of the best places to raise a family. In the 17th century, the Dutch considered the area comprising today’s Bergen and Hudson counties as part of New Netherland, their colonial province of the Dutch Republic. The Dutch claimed it after Henry Hudson (sailing for the Dutch East India Company) explored Newark Bay and anchored his ship at Weehawken Cove in 1609. From an early date, the Dutch began to import African slaves to fill their labor needs. 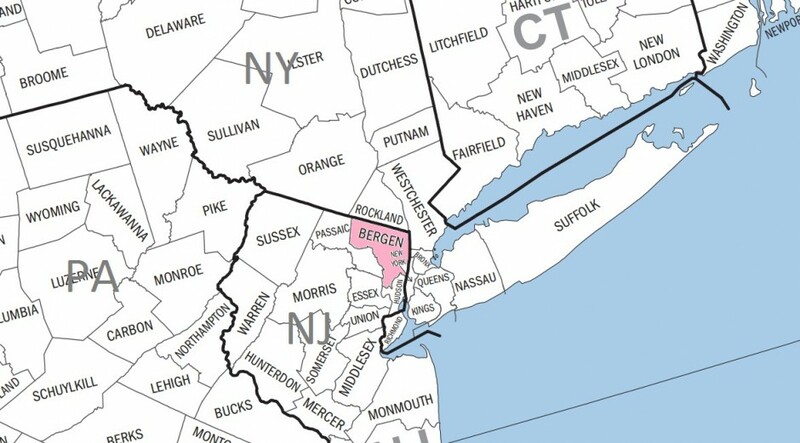 Bergen County eventually was the largest slaveholding county in the state. The African slaves were used for labor at the ports to support shipping, as well as for domestic servants, trades, and farm labor. Early settlement attempts by the Dutch included Pavonia (1633), Vriessendael (1640), and Achter Col (1642), but the Native Americans repelled these settlements in Kieft’s War (1643–1645) and the Peach Tree War (1655–1660). European settlers returned to the western shores of the Hudson River in the 1660 formation of Bergen Township, which would become the first permanent European settlement in the territory of present-day New Jersey. During the Second Anglo-Dutch War, on August 27, 1664, New Amsterdam’s governor Peter Stuyvesant surrendered to the English Navy. The English organized the Province of New Jersey in 1665, later splitting the territory into East Jersey and West Jersey in 1674. On November 30, 1675, the settlement Bergen and surrounding plantations and settlements were called Bergen County in an act passed by the province’s General Assembly. In 1683, Bergen (along with the three other original counties of East Jersey) was officially recognized as an independent county by the Provincial Assembly. Bergen was the location of several battles and troop movements during the American Revolutionary War. Fort Lee‘s location on the bluffs of the New Jersey Palisades, opposite Fort Washington in Manhattan, made it a strategic position during the war. In November 1776, the Battle of Fort Lee took place as part of a British plan to capture George Washington and to crush the Continental Army, whose forces were divided and located in Fort Lee and Hackensack. After abandoning the defenses in Fort Lee and leaving behind considerable supplies, the Continental forces staged a hasty retreat through present-day Englewood, Teaneck, and Bergenfield, and across the Hackensack River at New Bridge Landing, one of the few sites where the river was crossed by a bridge. They destroyed the bridge to delay the British assault on Washington’s headquarters in village of Hackensack. The next day, George Washington retreated to Newark and left Hackensack via Polifly Road. British forces pursued, and Washington continued to retreat across New Jersey. The retreat allowed American forces to escape capture and regroup for subsequent successes against the British elsewhere in New Jersey later that winter. Soon after the Battle of Princeton in January 1777, British forces realized that they couldn’t spread themselves thin across New Jersey. Local militia retook Hackensack and the rest of Bergen County. Bergen County saw skirmishes throughout the war as armies from both sides maneuvered across the countryside. In 1837, Passaic County was formed from parts of Bergen and Essex counties. In 1840, Hudson County was formed from Bergen. These two divisions took roughly 13,000 residents (nearly half of the previous population) from the county’s rolls. In 1852, the Erie Railroad began operating major rail services from Jersey City on the Hudson River to points north and west via leased right-of-way in the county. This became known as the Erie Main Line, and is still in use for passenger service today. In 1894, state law was changed to allow easy formation of municipalities with the Borough form of government. This led to the “boroughitis” phenomenon, in which many new municipalities were created in a span of a few years. There were 26 boroughs that were formed in the county in 1894 alone, with two more boroughs (and one new township) formed in 1895. On January 11, 1917, the Kingsland Explosion took place at a munitions factory in what is today Lyndhurst. The explosion is believed to have been an act of sabotage by German agents, as the munitions in question were destined for Russia, part of the U.S.’s effort to supply allies before entrance into World War I. After the U.S. entry into the war in April 1917, Camp Merritt was created in eastern Bergen County for troop staging. Beginning operations in August 1917, it housed 50,000 soldiers at a time, staging them for deployment to Europe via Hoboken. Camp Merritt was decommissioned in November 1919.